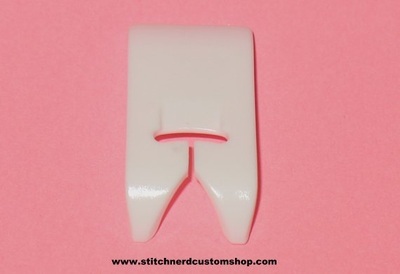 Snap-On Teflon Foot, a must have if you want to sew leather, suede, velvet, vinyl, etc. 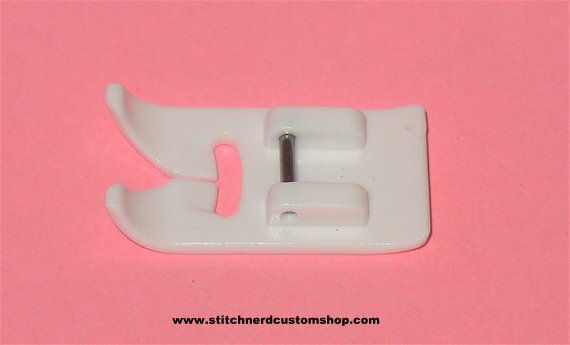 I use this type of foot to sew all fabrics, just leave it on your machine as your regular sewing foot! This is designed for home sewing machines and is a dream use; your fabric will glides through the machine.